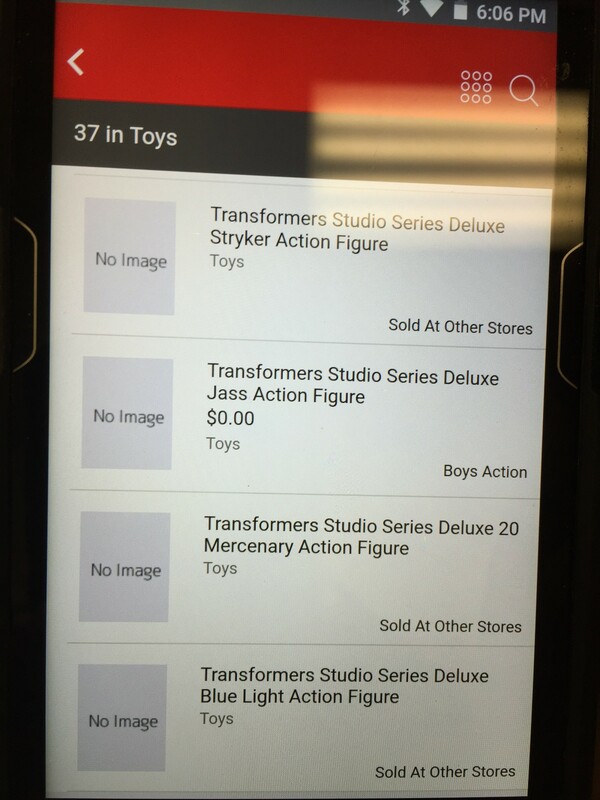 In images we can see the listings for some upcoming figures at Target stores. Thanks to a Seibertron user named CommunistPrime for sharing these with us. These are so new that they don't have prices and some of them use code names like 'Stryker'. If you are not farmiliar with code names we do have some information on them from a few months ago. 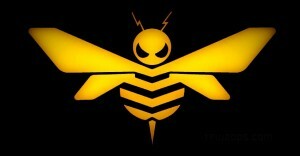 So far we are aware that Stryker is most likely a code name for Bumblebee. It appears we are getting Ironhide, Jazz (Despite that hilarious typo), Brawl and Ratchet. The code names left for speculation are Fox, Mercenary and Blue light. Who do you think we will get? And out of the characters we already know what deco do you think we will get of them? Let us know. I presume that Ironhide will take cues from the HFTD Deluxe. I hope that like 'Jass' ratchet being a deluxe is a mistake. I want bigger Ratchet so he can scale with the other deluxes better. Ambulances are larger than sport cars. WreckerJack wrote: I hope that like 'Jass' ratchet being a deluxe is a mistake. I want bigger Ratchet so he can scale with the other deluxes better. Ambulances are larger than sport cars. Am confused. We already have Ratchet and he's a Deluxe and he's a tall Deluxe, same height as Lockdown and bigger than Bee and Jazz. 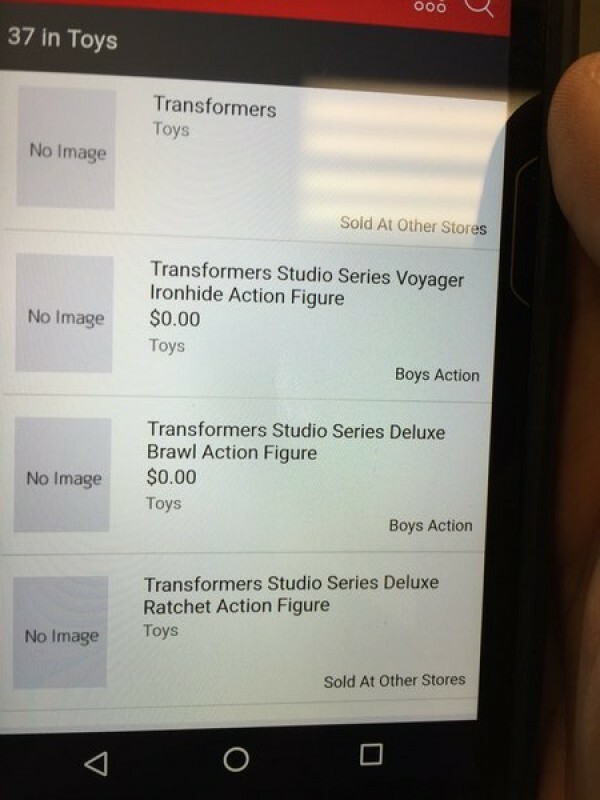 Ironhide being listed as voyager? Maybe cos he's got more bulk? And big cannons? He isnt a tall deluxe, he is just the same height as the average deluxe. Him being bigger than the two smalleest deluxes of all time doesnt make him tall. Now Animated and ROTF Lockdown and Battle Blade Bee, those are tall deluxes. william-james88 wrote: He isnt a tall deluxe, he is just the same height as the average deluxe. Him being bigger than the two smalleest deluxes of all time doesnt make him tall. Those are very old figures now. You cannot compare those figures size to more recent figures. Hasbro pretty much have been changing the size definitions over the years. So much so that a 2014 Movie Advanced re-deco of 2010 Battle Blade Bee was classed as Voyager. Ratchet and Lockdown ARE tall deluxes in the Studio scale in that they are the tallest of the Deluxes (that I own anyways). Those figures you mention are not part of this series and so do not count. Yeah. It's funny, I compared SS Stinger with BBBB and Bee is like twice the size of Stinger. Though I will say I like the Stinger mold enough I'd take a reshell of him as AOE Bee. Seeing as you mention Lockdown I'm still not sure if I want the ROTF version or some variant of the Animated mold (I'm thinking TAV). Animated Lockdown goes fairly cheap, but dear lord ROTF Lockdown looks awesome. william-james88 wrote: That still doest make Ratchet a tall deluxe. He isnt bigger than a combiner wars deluxe. He's just normal size. He's taller than a lot of movie Deluxes over the past few years. Various Bumblebees, TLK Barricade, and I tried measuring him (and Lockdown) with some other figures i still own such as some past movie Deluxes like DotM Barricade, Sidearms Sideswipe (whom i always felt was a bit tall) and that was roughly same height, and some non-movie Deluxe figures like RTS Tracks (Ratchet is a tad taller), and Wolfwire (again Ratchet is noticably taller) but again none of that means anything to the Studio scale in which Ratchet and Lockdown are the tallest Deluxes (that I can compare as I don't have Stinger and Crowbar) with Jazz being by far the smallest. That's what my original point and comparison was. I dunno why all the arguing when I thought we'd all gotten the idea of the scale thing Hasbro were going with here and how they are fitting certain characters into classes and the factors involving scale, cost, amount of parts, mass of plastics, paintjobs and such. That's way it looks to me anyways but I don't know anything really. It says on the TFWiki page for Studio Series that "Fox" was Megatron's codename, so perhaps 30 Fox is another Megatron, personally I wouldn't mind a new version of the Dark of the Moon design. As for other figures, I hope one of the future Deluxes is Sideswipe, mainly because my ROTF Deluxe is beginning to show its age with worn away paint and creaky joints. Also, I doubt it will happen, but I would LOVE a Deluxe Arcee comprised of three motorcycles that combine into a single robot based on the old concept art. Munkky wrote: It says on the TFWiki page for Studio Series that "Fox" was Megatron's codename, so perhaps 30 Fox is another Megatron, personally I wouldn't mind a new version of the Dark of the Moon design. I prefer the 2007 Arcee figure (though she doesn't fit in Studio scale, heck she didn't fir in her own 2007 toyline scalewise not that they tried so hard with that. Only reason I haven't culled her is that I simply just love the design of her far too much to want to part with it) over the weird triplet wonky wheelbots from RotF but I'm game to see them attempt that combining thing just to see if they can pull it off. Anyways me off to bed. Have only had about 30 mins sleep in past couple days and even that was on the floor behind my recliner (why not on the recliner? I don't know... i didn't choose the sleeping place) and my issues been going crazy (is why i been trying to distract with lots of transformers stuffs). Goodnight, folks. Regarding the previous custom painted Megatron, that's WAY too shiny. Too "brand new". He'd need a black wash or something over that silver to dirty him up a little. If I find my Megs too bland looking with his original colors, I might just do that myself. 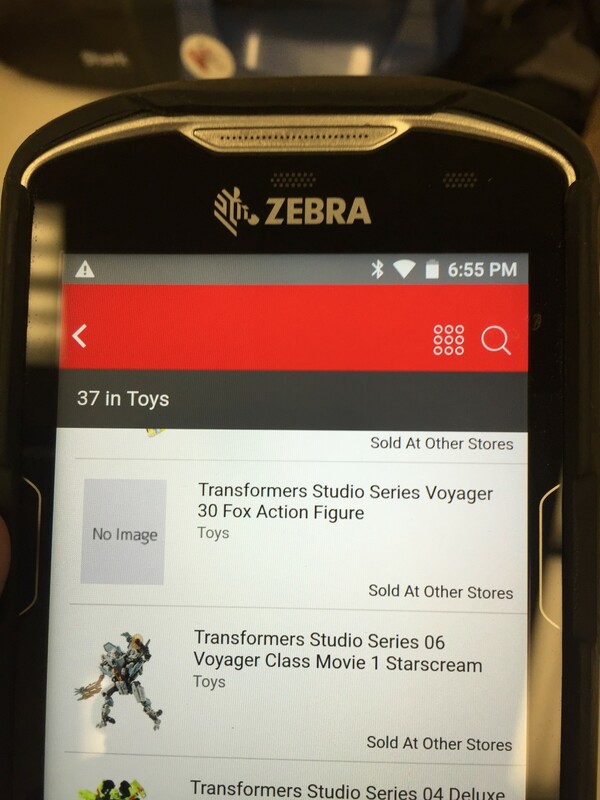 Good lord, just go buy one of the older voyager Ratchets. Ratchet is Ratchet, if you want a voyager Ratchet just go get one. DUH! Hum.... It's not that easy, dude. Ironhide had 3 voyagers, notably the DOTM who is in perfect scale with deluxe cars and even SS Optimus. However, Ratchet only have ONE voyager mold. The 2007 version. And it's freaking HUGE. It can only scale with Leader ROTF Optimus. Instead of hasbro giving us two deluxes they should give us a voyager instead. Duh. Seriously. They remade a great Ironhide so why his bro wasn't there? After looking at reviews, I highly reccomend either of the two.